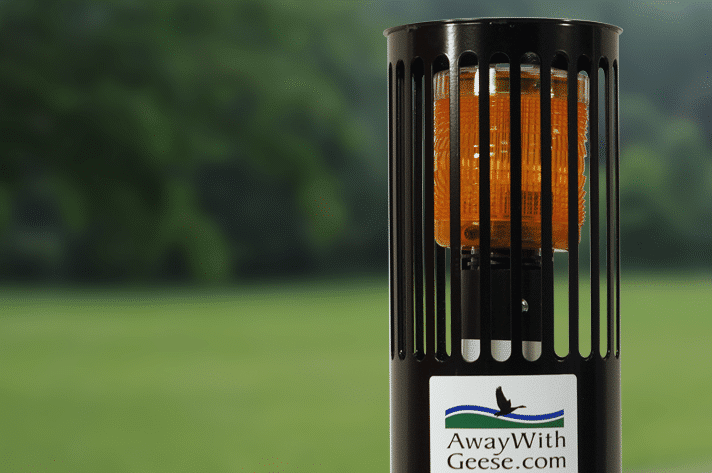 The Residential Unit is designed to rid private lawns, fields and gardens of unwanted geese. 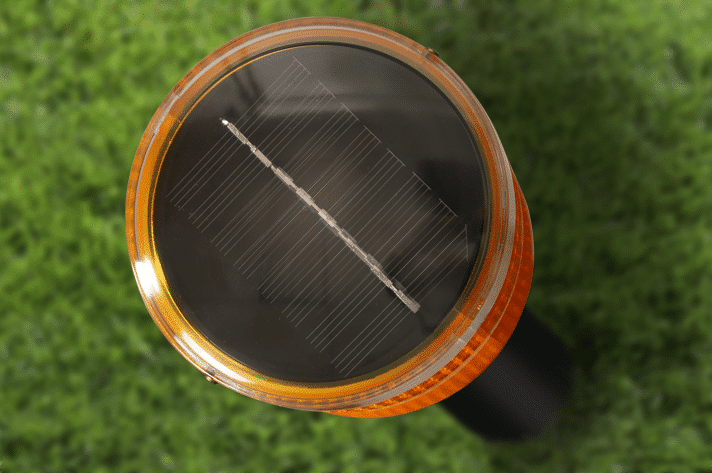 It features an amber 360-degree solar-powered LED light that flashes every two seconds, from dusk to dawn, year-round. 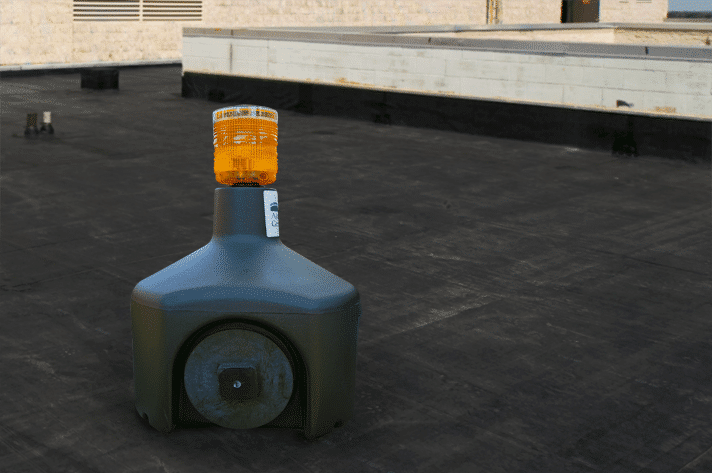 The light is mounted on a cylindrical base comprised of ¼-inch thick ABS black plastic that will never fade, crack, or need to be replaced. 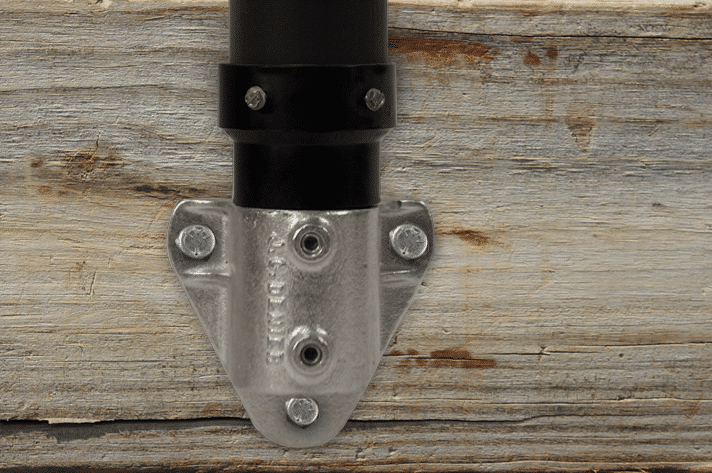 This base mounts on the ABS black plastic ‘fin’ which encases a ¼ inch galvanized steel metal spike. The fin/spike holds the unit securely into the ground, with the bottom 6 inches penetrating the ground and top 4 inches integrated into the fin, which holds the base. 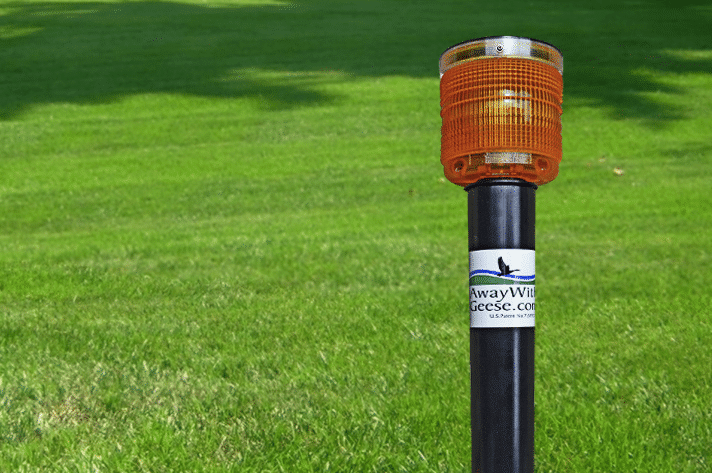 The design allows for effortless installation—just put the fin/spike into the ground and place the base on top, and then feel free to move when desired. 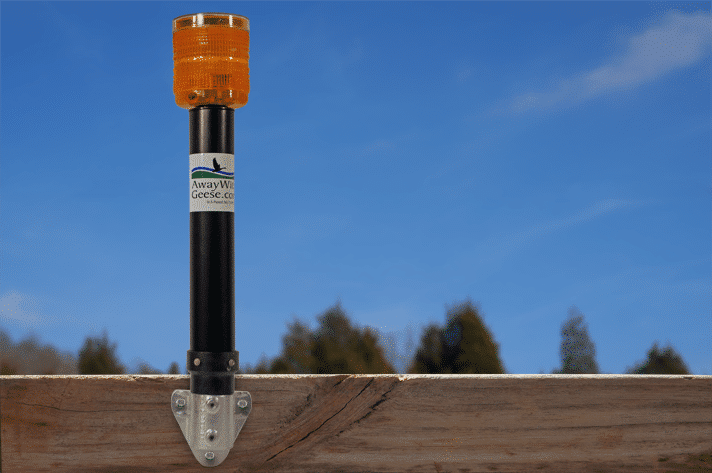 When installed the unit is 18 inches in height, right at the eye level of the geese. 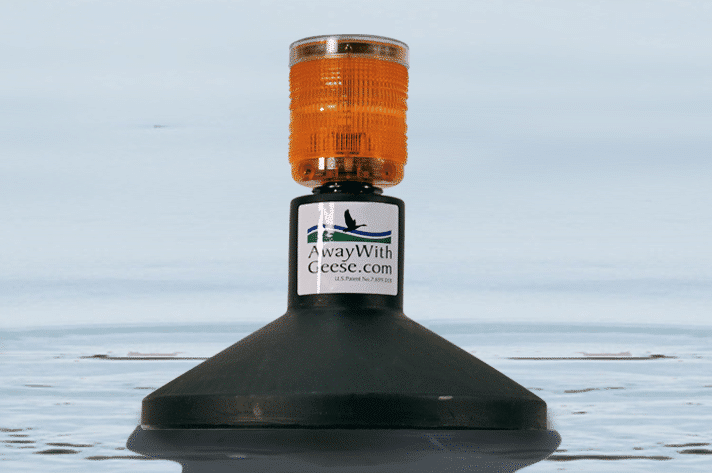 The light is scarcely noticeable to humans but is very disruptive to the sleep of the geese: it is directly at their eye level, and is annoying to their incredibly sensitive eyesight. Geese choose to sleep in locations that feel safe to them, in which they are free of threats from predators while they rest. The light causes them to no longer feel secure at night. Because geese prefer to sleep and eat in the same area, they will no longer find this area attractive during the day either, and will leave to find another habitat usually after just a few restless nights. To humans, this light is very dim: in 10 years, no one has ever complained about it bothering them. 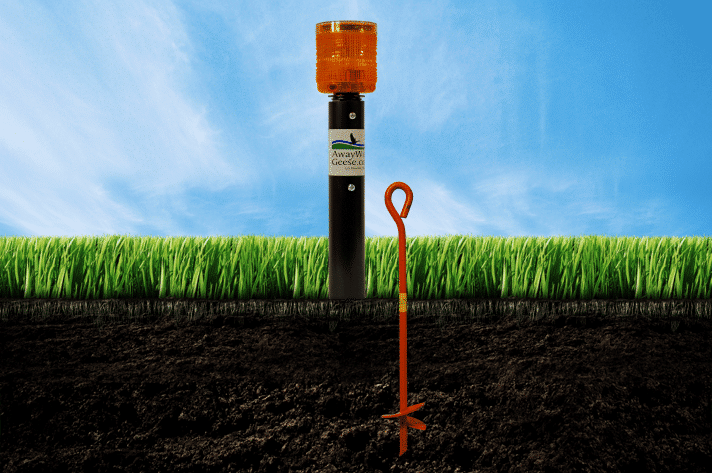 The unit has a 75-yard effective radius and is incredibly easy to install and use. It is maintenance free, satisfaction guaranteed, and comes with a two-year parts warranty. Fill out our short, free Placement Study for our professional recommendation of the type and number of units, and their most effective placement for your property, via email.